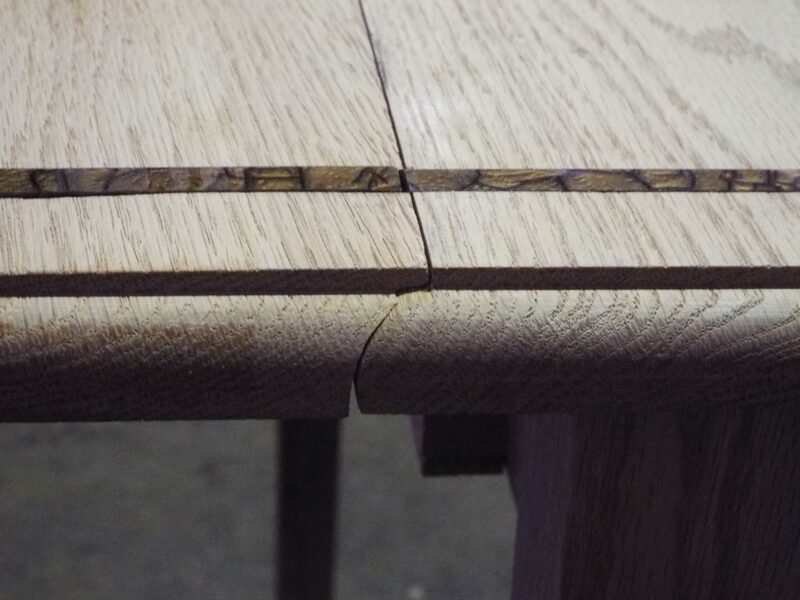 According to the Cambridge English Dictionary, a drop leaf table is “a table whose sides can be folded down so that the table fits into a smaller space.” And the first step in crafting such a table is becoming familiar with the joint it… hinges on: the rule or drop leaf joint which creates a nicely moulded edge on the tabletop when in the “down” (dropped) position in addition to a tight, well-supported connection when the side portions are in the “up” position. 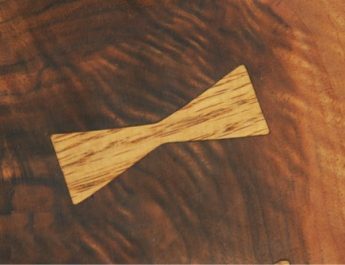 While a detailed walk-through is found in the second installment of this series, Drop Leaf Table: A Crafting Video Demo (Part 2), the following are important notes about the integral drop leaf joint itself. 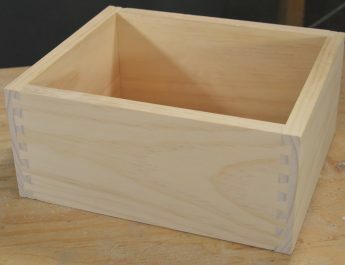 You can use both 5/8” and ½” radius roundover and cove bits to make the drop leaf joint. Your choice will depend on the wood thickness and hinge type you’re using. Recess the hinge knuckle into the bottom of the main table at the center point of the edge radius. Usually, there is a 1/8” notch at the top. Use ½” radius cutters with ¾” thick wood. 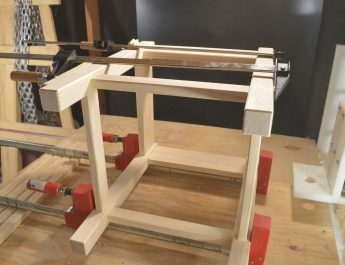 This puts the hinge pivot point at the bottom surface of the table. (Surface-mounting the leaves of the hinge is due to the location of the hinge pivot point.) 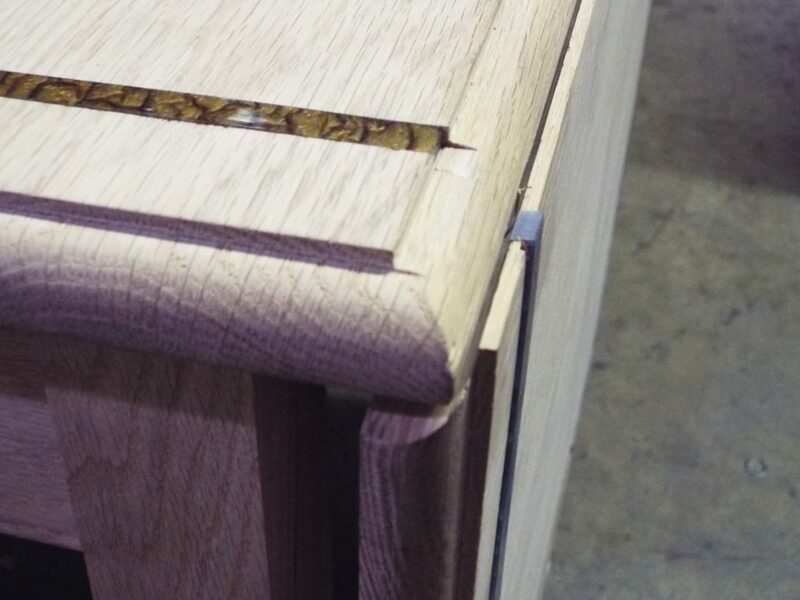 With thicker wood, you must recess the hinge point further into the bottom by additionally recessing the hinge leaves. In such a case, use 5/8” radius cutters to avoid recessing the hinge leaves. *Tip: As always, have the hardware on hand before starting. 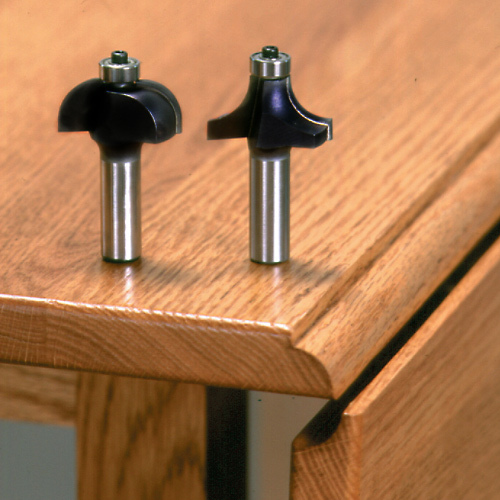 Ease the bottom edge of the main table to smooth the hinge action. Also, shift the hinge pivot point slightly toward the edge of the main table. This ensures the joint doesn’t rub and wear. 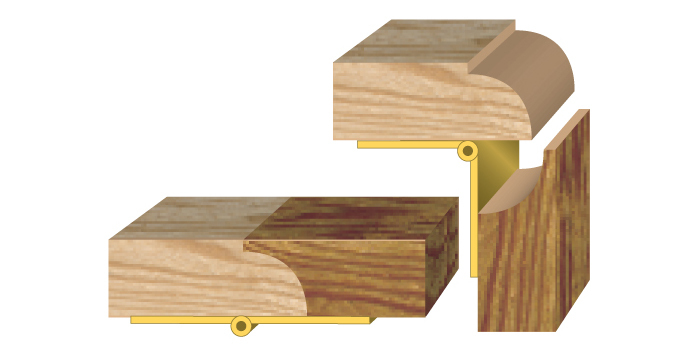 *Tip:Because the location of the hinge pivot point is so important to a properly working joint, you should practice on some test pieces of the same thickness as your final project. Grab the set that makes this joint possible!